Leaders orchestrate commands to people in order to accomplish objectives pertinent and in accordance with their personal principles and intentions. 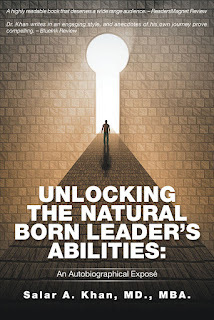 This book sets to identify the qualities and abilities of a certain kind of leader, which I refer to as the natural-born leader (NBL). The NBL possesses innate traits, refined and perfected over time with education, training, and experience. I will attempt to illustrate these traits by drawing from my fifty years of personal experiences and hope readers will look at this as an opportunity to introspect. 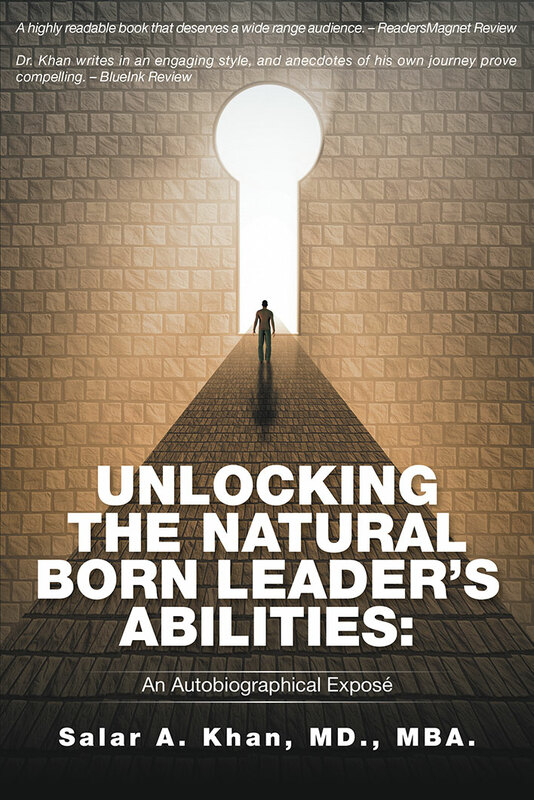 I have also designed a self-assessment tool so you may self-evaluate the presence of these NBL abilities and identify where you ultimately fall on the spectrum. Today, there is widespread lack of confidence in leadership whether in business, government, education, or elsewhere. The vision of a confident leader, that of an NBL, is needed for the betterment of the world. Salar Ahmed Khan, MD, MBA, FACA, FCCP, DTCD, MCPS, worked as an Internist and Pulmonologist at Karachi, Pakistan from 1985-87; as the Chief of Medicine, the Acting Director of Medical Services, and Acting Hospital Director at Al-Midhnab General Hospital under the Ministry of Health in Saudi Arabia from 1988-93; as the Associate Professor Medicine at Baqai Medical College and Hospital in Karachi, Pakistan from 1993-94; as a Surgical Assistant, Material Management, and Acting Central Processing Supervisor at Edge Water Medical Center in Chicago from 1996-2000. He is working as a program specialist at Chicago, Illinois since 2000. He was nominated and won several awards at national and international levels. In his spare time, he enjoys cooking, photography, and watching sport, like cricket. He lives in Chicago, Illinois with his wife and two sons.